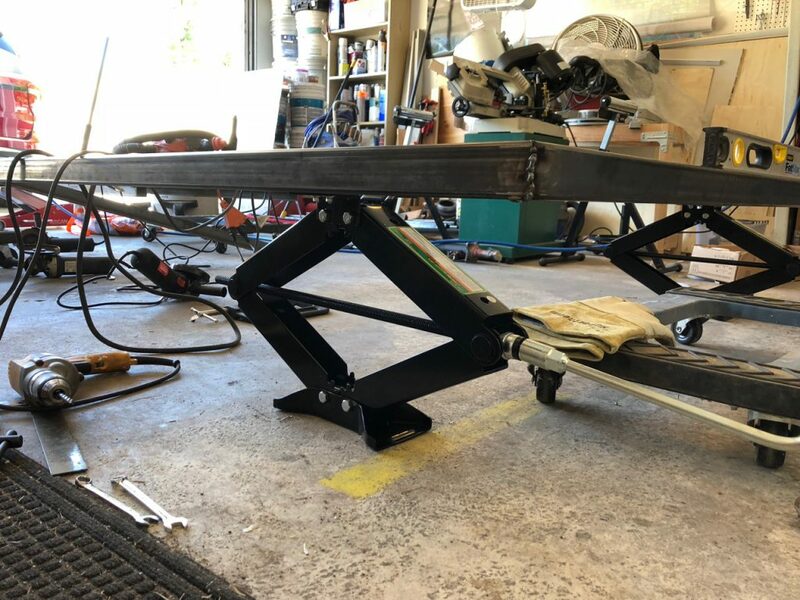 Adding leveling jacks to the RV trailer frame. 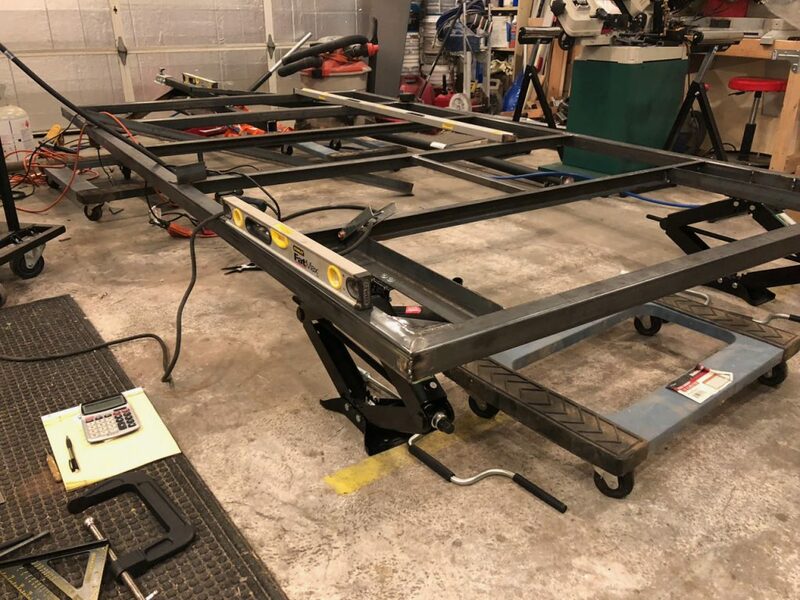 These are simple scissor jacks that were procured from Harbor Freight. Using some 2″ angle, a suitable attachment was made for the jack. One side complete. Now to make a bracket for the other side. The jacks were attached to the frame using some bolts so that they can be replaced if needed. 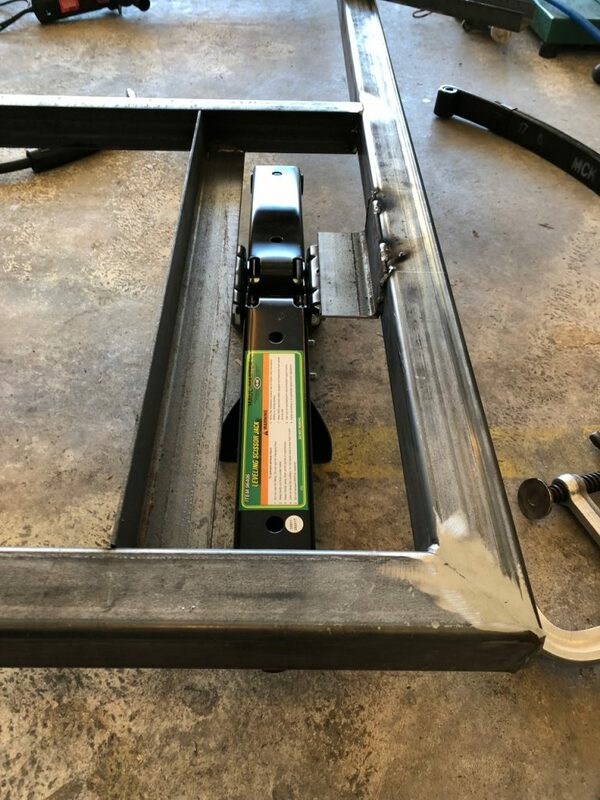 Since there was more welding to be completed on the frame, the jacks were used to lift and level the frame for the next bit of the construction. 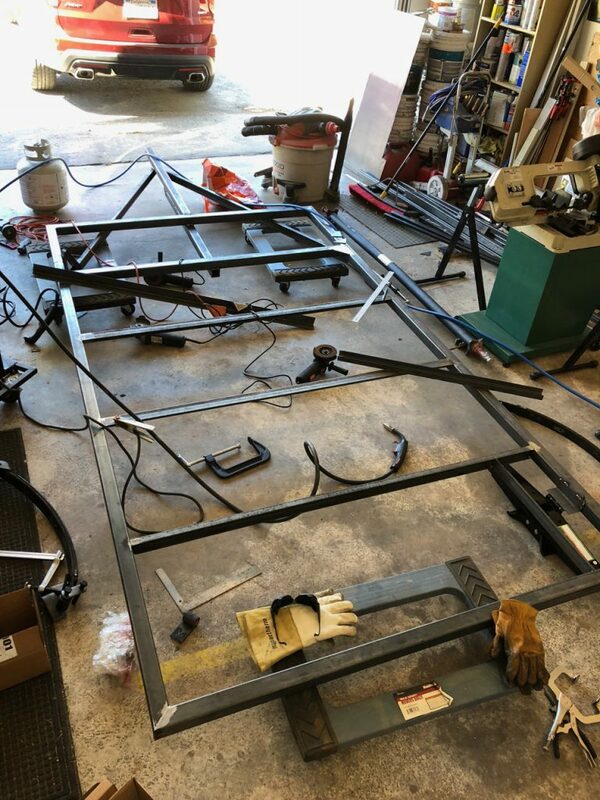 Leveling the whole frame for some more welding.